It has always been illegal to sell counterfeit bags, but to this day it is still not illegal to purchase them. Interesting right? If New York Councilwoman Margaret Chin has her way then that is subject to change. Chin’s proposed bill will make buying a fake bag a punishable offense. 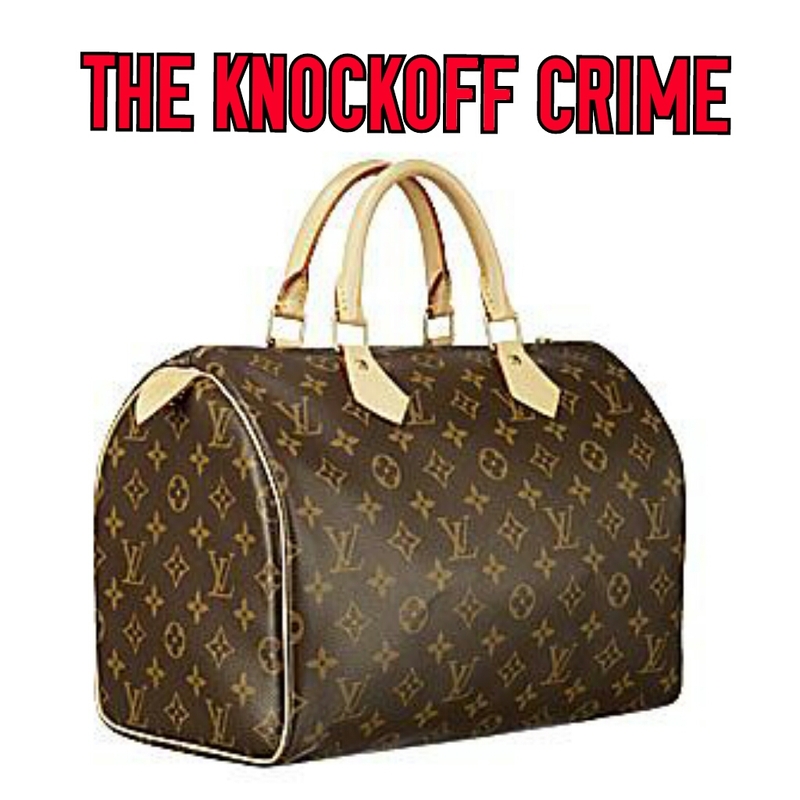 Anyone caught in act of attempting to purchase of knockoff could face a maximum $1000 fine and up to year in prison. If you ask me, going through the trouble of finding a sketchy street peddler on Canal Street that will take you to the back of a van to look at designer imitation was always unappealing. Now that there is the possibility of jail time and a fine, I will definitely take a pass. Here is my thought on designer knock offs in general, I think it is wrong. It is disrespectful to the designers. Also, anything that requires the shadiness of going into a dark alley for a purchase is probably a bad idea. You know it and I know it. Why do it? So that you can say that you have a “Louis Vuitton” or “Chanel” bag? For me the reason that I have an appreciation for designer is because of the quality and durability. Yes of course, the name factors into it, but that is not the only reason I want one. It should not be the only reason you want one either. When it comes to designer bags, I think you should save up and get the real thing if you want one. Counterfeit bags do not fall into the realm of affordable fashion. To spend any amount of money on something that is going to fall apart is never worth it. If you are a bad saver (like me) or just simply would not to spend a lot of money on designer then invest in a quality no name leather bag. Do not go in the fake direction. I strongly believe in the phrase “fake it ’til you make it” but not when it comes to accessories!